High performance through coloured render is an excellent option to improve the aesthetic of a domestic or commercial property. Render can completely change the look of a property, with customers able to choose from a broad range of smooth and textured decorative finishes. New render can replace old, tired or cracked existing coatings, as well as painted brickwork, removing the necessity to re-paint the surface every few years. 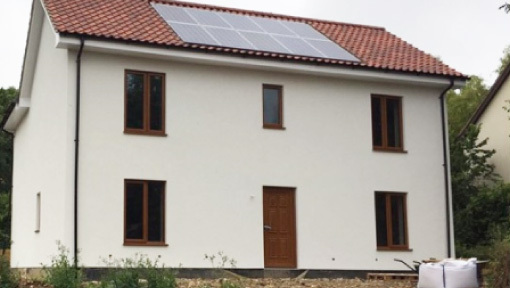 New build properties can also achieve a cutting edge look using a render solution. Rendering a property can also help to address water ingress and penetrating damp issues, especially in older solid brick properties. Adding a layer of render to the outside wall of a property blocks the path of water in to the property and prevents this form of damp from occurring, although an expert should also be consulted before render is applied where damp is present. The use of mesh cloth reinforcement in the base coat of the render also protects against cracking for a long lasting finish. While render will provide a slight insulating effect, External Wall Insulation is more suitable for solid wall properties with poor thermal efficiency. 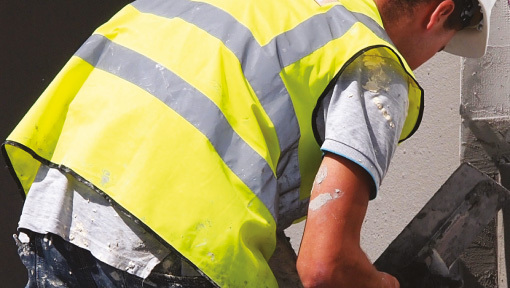 Cornerstone was originally established as a specialist in wall coatings in 2004 and has externally rendered thousands of properties all over the UK, from existing and new build domestic properties to a range of high specification commercial buildings. WHAT RENDER OPTIONS ARE AVAILABLE? This is the most cost effective type of render and can offer real vibrancy of colour. 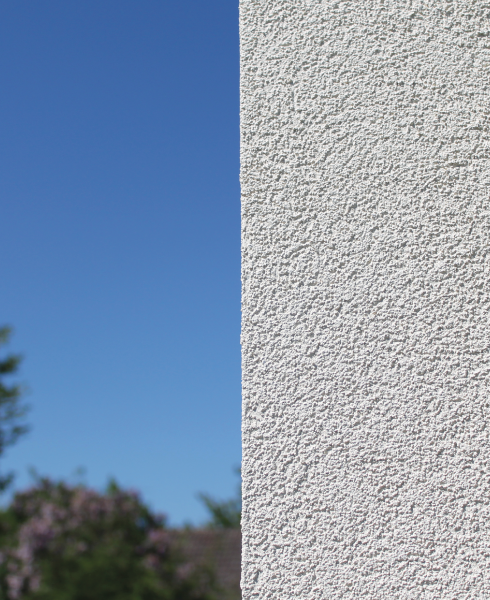 However, acrylic render is not breathable, and is therefore not suitable for some properties. This is very hard wearing type of render, and is breathable to an extent. It is a mid-price option and is usually suitable for most properties. This type of render is the most expensive, but has lots of benefits, including being self-cleaning and breathable. It is important that the right type of render is selected for the property, to ensure any problems are effectively addressed and any benefits maximised. Cornerstone’s technical experts can provide advice on the best solution for your property or development. A ten year warranty is available for most render products. "I would like to thank you and the team at Cornerstone for the kindness and respect shown to my mother. She is 84 years of age and doesn't find any new process easy, particularly when work is being carried out around her home. As a daughter who lives 150 miles away in Hampshire, I would like to thank your team for communicating with me and 'keeping my in the loop' about the process and schedule of work." "Cornerstone were always courteous and polite. They kept me posted. They replied to emails. And they stuck to their timetable. They also left the site tidy. If I need any more properties insulating, I will go straight to them." "Cornerstone have impeccably high delivery standards, they are quality driven in both their workmanship and tenant liaison and we would happily use them again on future projects."